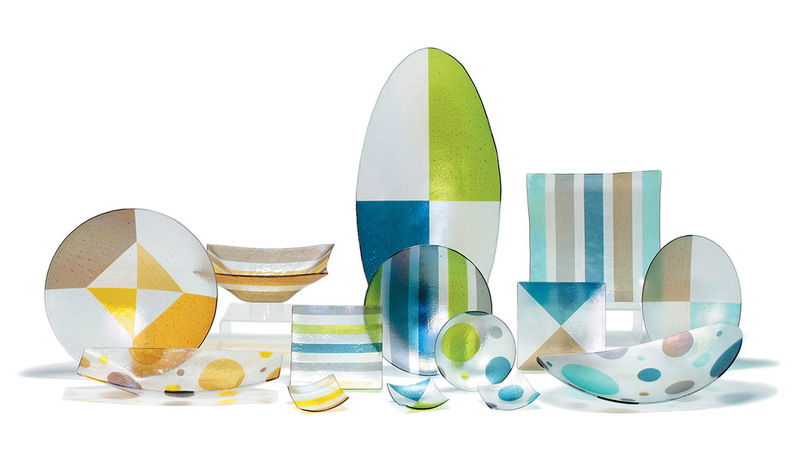 Kathleen has designed hundreds of limited production pieces for the table and wall since first going to market in 1989. While there are standard color ways for most pieces, we are happy to customize them to fit into any décor. Although we call them production, each piece is made by hand at the studio in Austin, and the medium itself insures that no two pieces are exactly alike. The sizes of the pieces go from 5x5" little dishes to 16x32" ovals, with lots of shapes in between. A complete list of sizes/prices can be found. 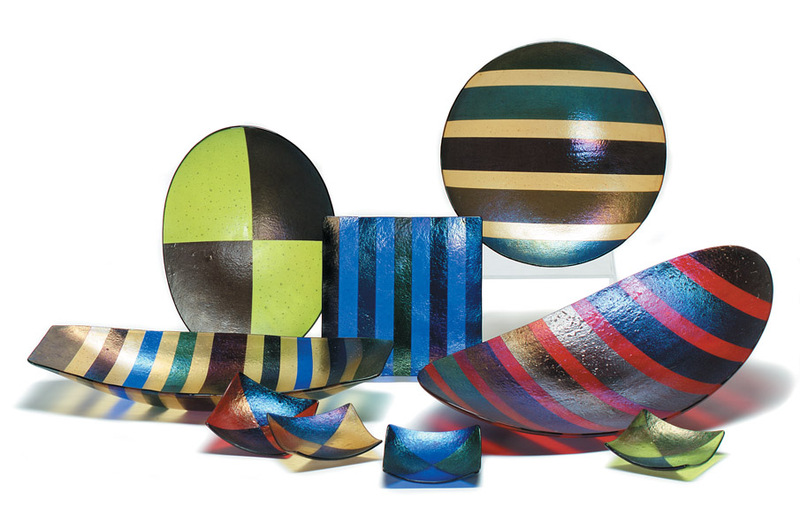 Click on the images below to see examples of Studio K Tabletop Tabletop glass objects.